Located off W McEwen Drive and minutes to I-65, the Andover Subdivision is a single-family and townhome development in Franklin TN (Williamson County). Popular streets in Andover Subdivision include Crossmill Court, Fletcher Court, Stannic Drive and Toliver Court, while townhomes are built around Huffine Manor Circle. 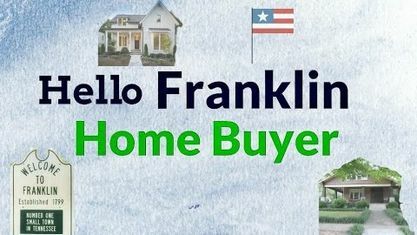 Other popular Franklin Subdivisions near Andover Subdivision include Buckingham Park Subdivision, Cadet Homes Subdivision, Cheswicke Farm Subdivision, Eagles Glen Subdivision, Golden Meadows Subdivision, Liberty Hills Subdivision and Royal Oaks Subdivision. View our selection of available properties in the Andover Subdivision area. Get to know Andover Subdivision better with our featured images and videos.